Easy to operate, Made of top grade non-toxic and un-deformable material, Applicable for feeding bottles of any brands and sizes, Designed in arc shape to ensure no dead space when cleaning, BlueSterilization time is 4 mins for 1000-1100 W microwaves, 5 mins for 800-950 W microwave, 7 mins for 500-750 W microwaveFarlin Microwave Steam Sterilization Set offers both standard and wide-neck feeding bottles sterilisation. 3 bottles can be sterilised at a time. The unit is made of non-toxic and un-deformable material. Sterilizes bottles within minutes without use of chemicals. 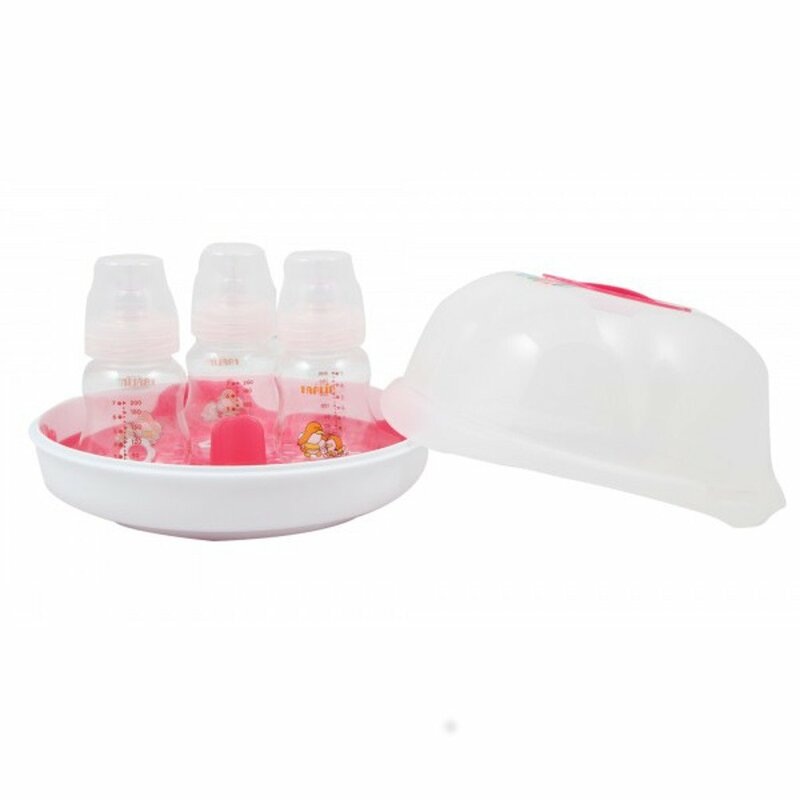 For both standard and wide-neck feeding bottles. To Recieve updates and possible rewards for Farlin Microwave Steam Sterilization Set please sign in. To Recieve updates and possible rewards for Steriliser & Warmer please sign in.